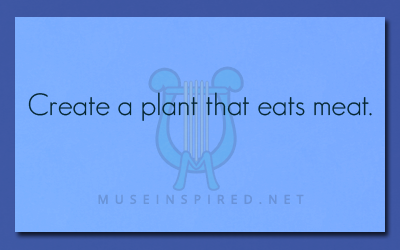 Fabricating Flora – Create a plant that eats meat. Fabricating Flora - Create a flower that only blooms at night. Fabricating Flora - Create a plant that is harvested for it's edible seeds.